PML Tiny Pterodactyl (right) and Pterodactyl Jr. rockets. 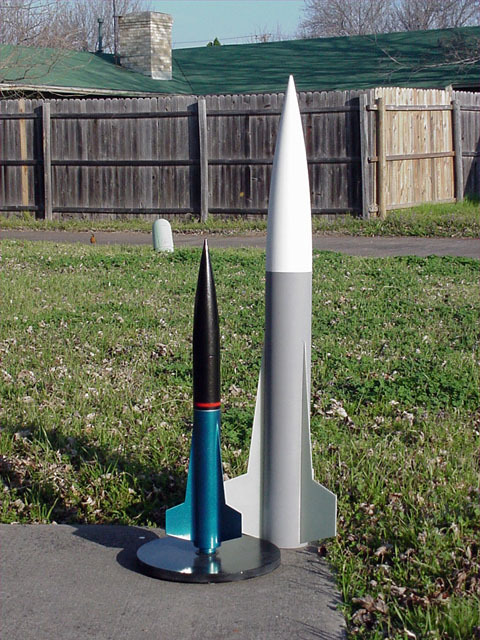 In late 2002, PML introduced some down scaled versions of the Pterodactyl and Bullpuppy rockets. I can't say enough good things about this kit. Cost effective, built like a tank and cool looking. It can fly on a wide variety of motors making it suitable for just about any field.